We are all about Premium Play Every Day. Premium Play with the best pickleball paddles, Premium Play with the best pickleball balls and nets and most of all Premium Play with the best people wherever you may go. 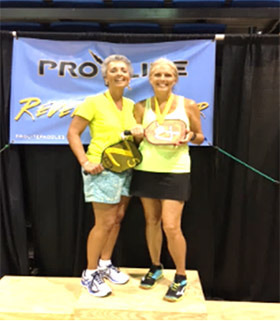 Premium Pickleball came about from an addiction to the sport and a desire to play the best we can with the best pickleball equipment there is. As we continue to search for the best pickleball equipment, my commitment to you is to do your homework for you. 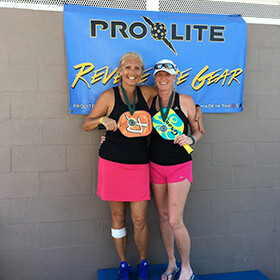 The paddles you find at Premium Pickleball have been designed by those who love the sport like we do, are designed by players, for you as players, and have been tested and tried by some of the best pickleball players in the sport. Of course, personal preference and play is all part of your choice when deciding what to buy, but our goal is to provide the information you need to make that decision. Coming from a retail business and a fitness background, wherein I taught aerobics, dance and fitness for 25 years or more, jumping feet first “literally” into pickleball was just the next step for me. I had never played a racket sport in my life before being introduced to pickleball while living in Florida. So my only claim to fame is really this: “If I can learn the game, anyone can.” I play at least six days a week, sometimes twice a day and I love to teach the basics to new pickleball enthusiasts. And as I grew and continue to grow, my game has changed, and my paddle has changed and I constantly am seeking out what is new on the market, watching what the pros were doing and looking at how I could improve. Along with that was this desire to grow the sport with others, teach new people and provide premium pickleball equipment readily available for people to try wherever I traveled. To do that, I started to partner up with pickleball manufacturers so I could provide a much needed service in my own City where sport stores were reluctant to carry pickleball equipment. And now I have expanded my sales presence by developing an on-line store with the same commitment to pickleball enthusiasts as if I was dealing with them one on one in person. Whenever I play and wherever I travel, pickleball is first on the agenda. I always have paddles and balls for players to try before they buy wherever I go. I am always available to answer questions or help people with their decision when buying pickleball equipment. We are located in Canada’s capital – Ottawa, with a sister location in Sarasota, Florida. 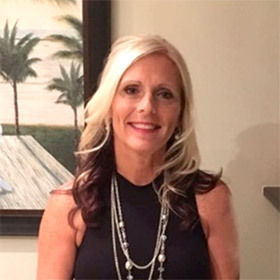 Serving on the Board of the Ottawa Pickleball Association and volunteering with the U.S. Suncoast Pickleball Association, Florida is all part of promoting this great game with that funny name. Our goal at PremiumPickleball is to provide you with premium pickleball products at competitive prices, stellar customer service, speedy efficient delivery service and respect for you as a customer by ensuring a secure online buying experience. Along with that, is lesson instructing to new beginners, who we are confident will go on and excel above and beyond our play, which is reward enough for us. Sponsoring tournaments, hosting demo days and clinics is also in line with our mission to strive for excellence in all we do.